This small, flightless bird, native to an atoll in the Pacific, went extinct as a direct result of World War II. By 1945, the species was gone — literally eaten out of existence by soldiers. The extinction of the Wake Island Rail is rarely remembered, not even in the accounts of World War II. They’re just one of the many, many forgotten victims of war. There’s not much to the tiny Pacific atoll known as Wake. Located roughly halfway between Guam and Hawaii, Wake is a loose, U-shaped grouping of an island, three smaller islets and a sand flat, all situated around a beautiful blue lagoon. There’s not a whole lot there; in fact, there can’t be. The entire atoll adds up to just over 2.5 square miles of land. Today fewer than 100 people live on Wake full-time. Wake was never a good home for people. It was, however, a haven for birds. With no other islands nearby, it was once a perfect layover point for dozens of seabird species, including multiple kinds of albatrosses, frigate birds and terns. So many birds could be found on Wake during the early 20th century that it became a veritable gold mine for Japanese poachers, who killed whole flocks of the animals for sale in the global feather trade. Most of those birds visited Wake as part of their annual migrations, but only one species lived there year-round. 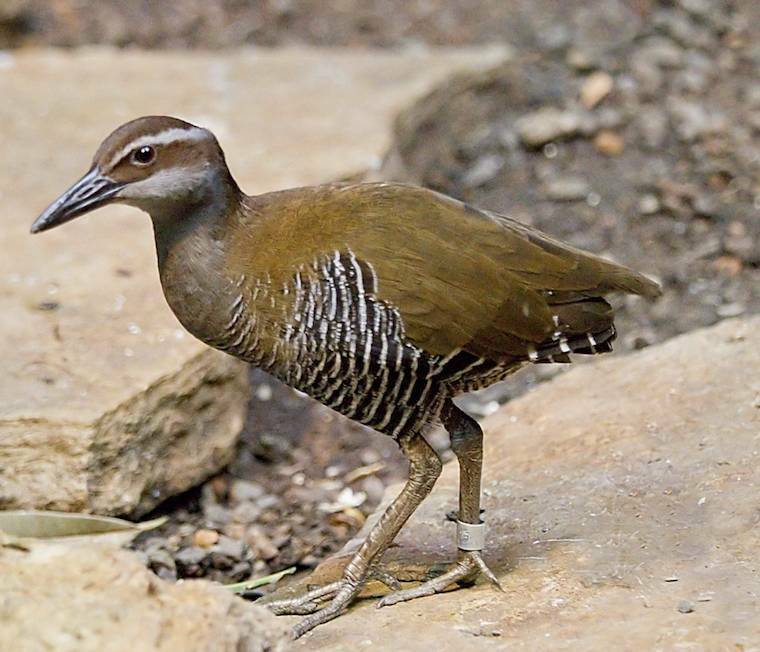 The Wake Island rail (Gallirallus wakensis) was a flightless bird that reached about 9 inches in length. It fed on insects, mollusks and seeds and managed to survive in an ecosystem with no access to fresh water. What the Wake Island rail could not survive, however, was World War II. The atoll was occupied by U.S. Navy forces in January 1941, and one of the most famous battles of the war was fought there the following December. The Japanese took control of Wake on Dec. 23, 1941, after more than 1,100 people were killed or wounded. After the American surrender, thousands of Japanese soldiers took up residence on Wake Atoll. In 1944 their supply chain was cut off by the U.S. Navy. With no provisions making their way to the island and little else to eat, the soldiers turned to whatever they could find and catch. 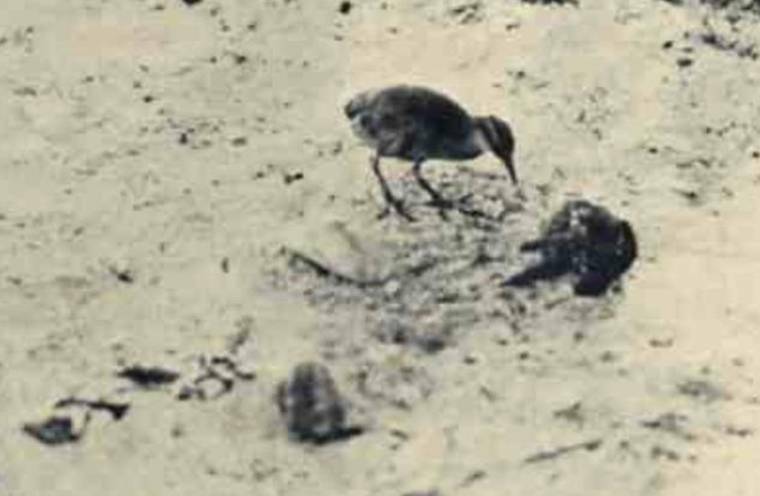 The Wake Island rail, unable to fly away and escape, quickly became one of their main sources of protein. By 1945, the species was gone — eaten out of existence. Thousands of people died on Wake Island, and Japanese forces committed numerous war crimes there. A permanent memorial commemorates 98 American civilian workers who were executed by machine gun in 1943. But there are no memorials for the Wake Island rail. They’re simply gone. Few photos or museum specimens of the birds remain, and only a handful of scientific papers even mention them. Their extinction is rarely remembered, not even in the accounts of World War II. They’re just one of the many, many forgotten victims of war. A version of this article was originally published by Scientific American. John is the editor of The Revelator. An award-winning environmental journalist, his work has appeared in Scientific American, Audubon, Motherboard, and numerous other magazines and publications. His “Extinction Countdown” column has run continuously since 2004 and has covered news and science related to more than 1,000 endangered species. He is a member of the Society of Environmental Journalists and the National Association of Science Writers. John lives on the outskirts of Portland, Ore., where he finds himself surrounded by animals and cartoonists.